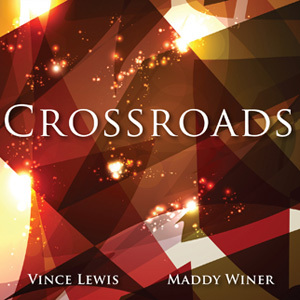 ASHEVILLE, NC (May 1, 2013) – Crossroads is the latest CD release from Maddy Winer and Vince Lewis. The CD combines the creative talents of Vince Lewis – guitar, Rick Simerly – trombone, Todd Wright – saxophones, Tom Hildreth – bass, Bill Covington – piano, River Guerguerian – percussion and Maddy Winer – vocals. The free-flowing musical interaction translates into the energy and excitement of a live performance, as opposed to just another recording session. 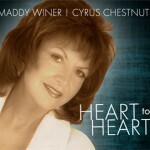 The 12 tracks are some of Maddy and Vince’s favorites from their concert performances. Collectively, these standard and contemporary jazz tunes take the listener through a 66 minute journey of contemplation and emotion. While listening to the CD you truly get the sense that each performer was cueing in and responding to each other in the moment. Notes: A Great American Songbook performance with Maddy, legendary guitarist Vince Lewis and a fabulous band.